Catalonia’s parliament speaker has been released from from custody after posting bail of 150,000 euros. It follows a marathon court hearing on Thursday that saw Carme Forcadell and several colleagues summoned to answer charges of rebellion. 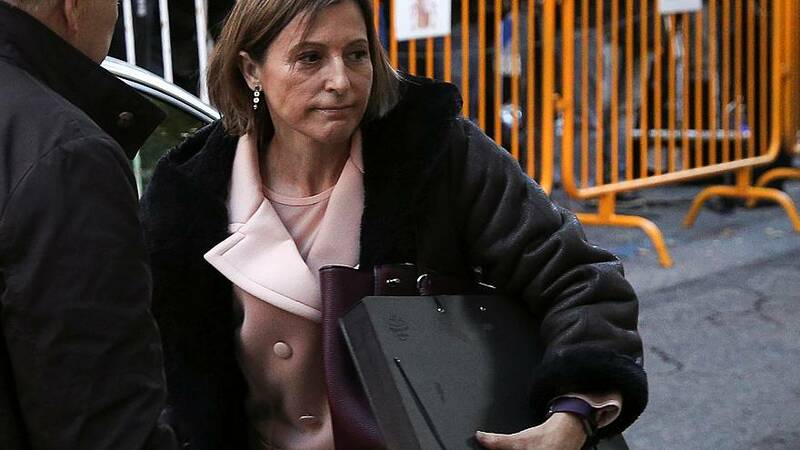 A judge at the Supreme Court in the Spanish capital ruled that Forcadell could be freed on bail once the cash is handed over. Four other lawmakers were allowed to walk free but must find bail of 25,000 euros while a fifth was released without bail. They were summoned to court for enabling an Oct. 27 declaration of independence that prompted the Spanish government to dissolve the Catalan parliament and sack the regional administration. Forcadell’s role in Catalonia’s push for independence sparked strong feelings outside the Supreme Court, with some demonstrators defending Spanish unity while others rallied in support of a Catalan breakaway. Spanish Prime Minister Mariano Rajoy called the election next month following the independence declaration, which the Constitutional Court ruled was against the constitution.